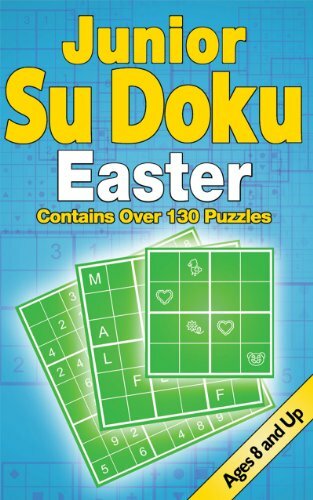 A new book in the popular Junior Su Doku series (over 100,000 copies in print) with brand-new special holiday-themed puzzles. Kids everywhere are getting hooked on Su Doku-the puzzle phenomenon that has already captivated adults nationwide-in the classroom and at home. Following the success of the first three books in the Junior Su Doku series, here is a new book packed with puzzles celebrating spring holidays. 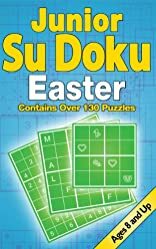 Junior Su Doku Easter presents over 140 puzzles, including puzzles with numbers and Easter-themed words and shapes. In the same format as Junior Su Doku, Junior Su Doku Christmas and Junior Su Doku Valentine's Day, this book begins with a detailed "How to Play" section and easier 4 x 4 and 6 x 6 grids to warm up, before advancing to classic 9 x 9 puzzles. Suitable for ages 8 and up, these logic puzzles are fun, stimulating, and addictive.